2014 is already on our doorstep, weeks have gone by since my last post and – just to highlight how challenging it is to do right by the planet and its people while doing right by my Fynn (aka ‘Boebs’) – I must make a confession. And its an embarrassing one! With all the good will in the world, although I have thought everyday of my blog and the fact that I need to get cracking on the challenge I have set for myself, I have not yet started exploring the challenge, or done anything to change my the behaviour! I have been so consumed with a baby struggling with reflux (read – not so happy child and very little sleep) that looking into the sustainability of the amount of cottonwool that I use, or what happens to the nappies that I put into the dustbin has fallen to the bottom of the list! My apologies fellow bloggers! I know I need to up my game – please watch this space! Fynn is now on medicine for his reflux and I’m hoping this will give me some more time to ask some very real and pertinent questions of myself, and the routine and habits Fynn and I have so easily fallen into! Wishing you all a very blessed and very happy 2014! In the beginning…there was a blank page and a clueless Mom. So here it is… a blank page, a ‘never-done-it-before’ blogger and a very new Mom – frightening stuff!! For you or for me? Well – for both of us!!! My name is Aimee. 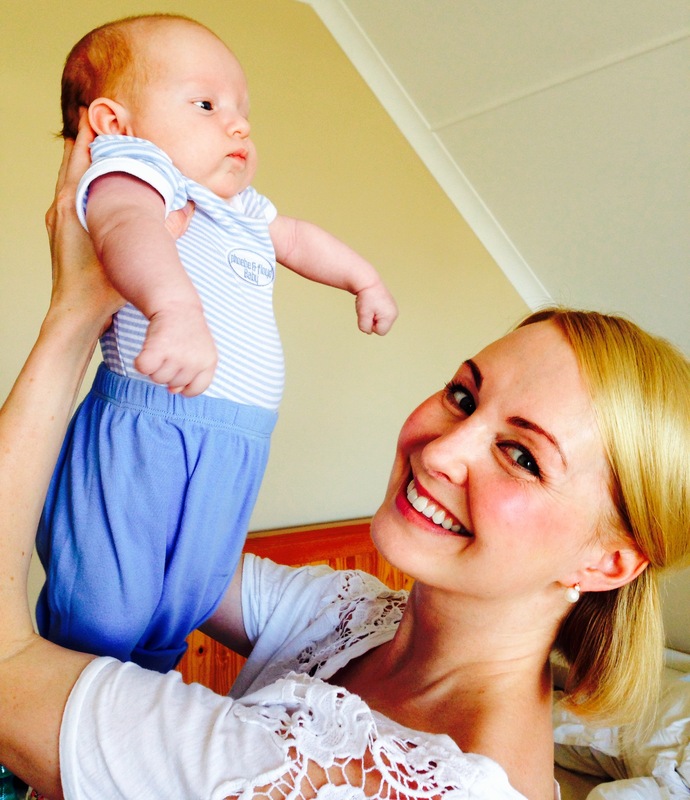 And I recently became a Mom to a gorgeous, magical little boy – Fynn William. Fynn is 9 weeks and 4 days old today. This means that I have been his Mom for 9 weeks and 4 days. A fledgling mom at best:) Fynn and I live in Jozi, SA with the husband and dad (Graham) and our two hairy muppets (Buddy and Gabs). So. What’s this blog about and how does it differ from all of the 1000s out there in the blogosphere? Let’s all agree that there is no shortage of mommy blogs out there people!! Well, this is my story of being a new Mom (a VERY scary title (queue horror movie background music… OK – maybe that’s a slight exaggeration:)) as any mom, dad or adult yet or maybe even never to be mom or dad will surely agree) and grappling with being the best Mom I can be (while still learning to be a Mom in the first place!)! Hmmmm – isn’t that the topic of most mommy blogs?…. So – this is it. My story of trying to understand the impacts of my behaviour as a Mom on the place in which Fynn is to live his long and happy life. And from which – as a friend of mine wrote, there is no readily available exit should things go horribly wrong. It is the story of the ups and downs of a completely besotted Mom who is also sleep deprived and slightly paranoid about Fynn and him having only the best I can give! It is the story of how a mom reconciles these concerns with her work as a sustainability and energy consultant, and a masters student in Sustainability Leadership at Cambridge. And it is a story of being such a mom in a developing country while being privileged enough to call herself middle class. I think this story is going to be interesting!… And I hope it’s one that will resonate with you. Comments and tips are welcome!! !